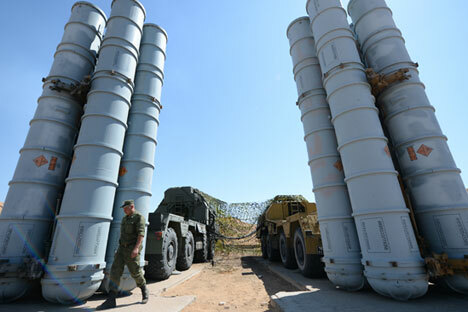 Russia will supply its S-300 surface-to-air missile (SAM) systems to Iran, after the countries agreed to explore an out of court settlement of Tehran's arbitration lawsuit, Sergei Rybakov, Russia's Deputy Foreign Minister said, according to an Interfax report. The 2007 agreement would be adapted to meet Tehran’s current needs, Rybakov said. “It is because of the adaptation of that agreement to the new reality that some negotiating process is taking place,” Rybakov said. “On top of that, I have to mention that the failure to fulfill the 2007 contract led to Iran laying claims against Russia with an international [court of] arbitration. This problem, too, should be somehow dealt with and settled in some way. We will be dealing with that too,” he said in an interview with the Rossiya-24 television channel. According to The Times of Israel ,the agreement, which was originally formed in 2007, had stalled, on account of sanctions on technological transfer, which led to a longstanding battle at the international court of arbitration, with Iran demanding $400 million in compensation for its $800 million investment for the agreement. Sputnik News said the agreement covered the sale of five S-300PMU-1/SA-20 Gargoyle SAM systems. The S-300 is considered as the state-of-the-art Surface to Air Missile system developed by Russia, with a total striking range between 3-150 kilometers, according to the BBC. Russia and Iran have cooperated militarily in the past, by suppressing the civil war in Tajikistan and opposing the Taliban in Afghanistan, according to Iran Primer. In 2006, Russia attempted to diffuse the ever-growing impact of UN sanctions levied on Iran, on a condition that it cooperates with Moscow, to which Tehran eventually agreed. Russia-Iran ties have a downside as well. Russia recently imported military equipment such as unmanned vehicles from Israel, a country that Iran publicly denounces and fails to recognize. Haartez reported that an estimated $400 million has been spent in such equipment, together with full UAV construction and assembly in Russia, which has outraged Iran.